Welcome to New York City -- Let's Go style. We've sent our student researchers all over the Big Apple to bring you fresh, exciting coverage of the trendiest neighborhoods, the chicest shopping, the best bars, the most amazing attractions, and the most delicious dining in the city that never sleeps. 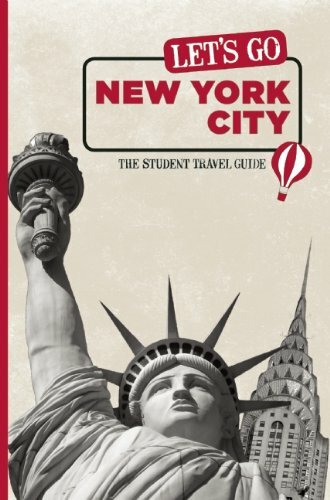 Our fully-updated coverage includes everything the student traveler could ever want to know about New York City, with hands-on advice on where to stay, what to eat, what not to miss, and how to party in America's most fast-paced city. Discover the best vantage points of the city's famous skyline, chow down at 4 a.m. at a 24-hour burger-and-pizza joint, sing along with a musical on Broadway, or simply walk until you drop as you discover a city you'll never forget with Let's Go New York City.